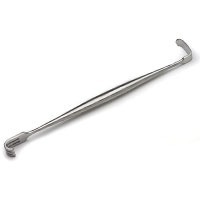 Retractors are used to hold an incision or wound open while a surgeon works. The retractor could also be used to hold tissues or organs out of the way during a surgery. Hand retractors are retractors which must be held by an assistant, a robot or the surgeon during a procedure.